The ATHE Level 3 Diploma in Business and Management is a 120 credit qualification and has been designed to support students’ progress into Higher Education. This qualification enables learners to develop underpinning knowledge, understanding and skills in the business including the skills of analysis and evaluation. 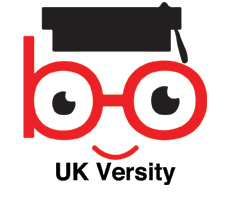 Learners who complete this qualification can progress to study a variety of Bachelor’s Degrees at a university such as our partner universities including The University of Northampton and The University of Bedfordshire. For more information, please visit our progression routes page.